On the first day you should focus on the main sights. Start your city tour at the famous Tower Bridge. From the bridge you can enjoy magnificent views of the Tower of London and the City Hall. Pass the tallest skyscraper in the EU called The Shard until you reach the popular Borough Market. There you can stock up on culinary specialties from all over the world before walking in the direction of the Thames by passing by Southwark Cathedral. 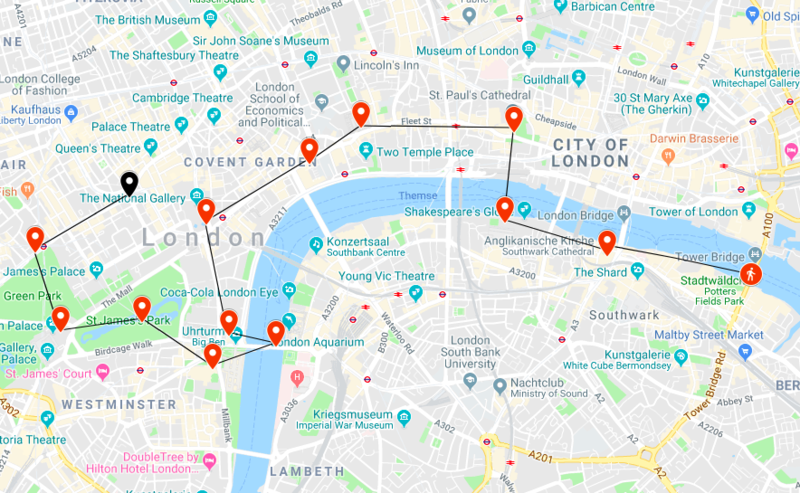 Follow the promenade past the famous Globe Theater until you reach the imposing Tate Modern Museum, one of the world’s largest modern art museums. 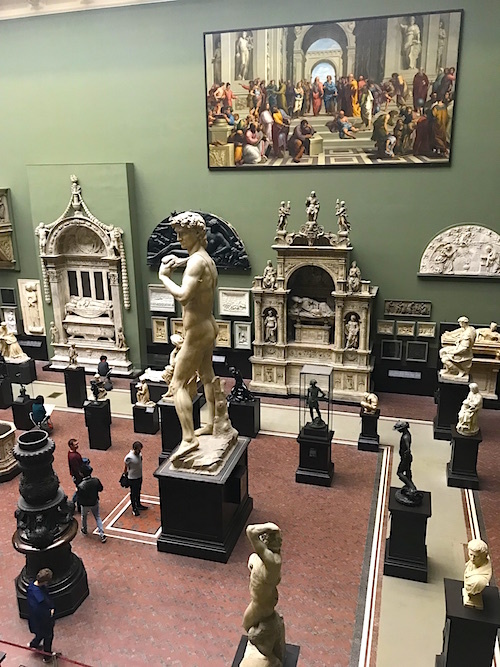 Since many of London’s major museums are free, you can spend a short time at the Tate Modern Museum admiring works by Vicent van Gogh or Paul Cézanne. Then you will walk across the modern Millennium Bridge until you reach the beautiful St. Paul’s Cathedral. 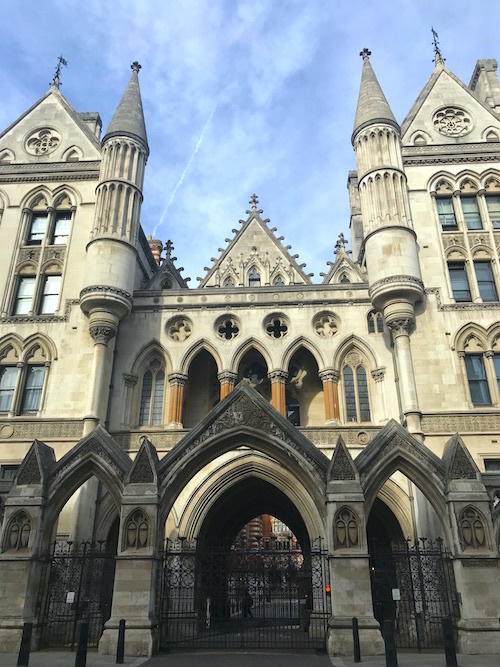 Follow Fleet Street and the Strand, which are lined with great buildings such as the Royal Courts of Justice and the Sommerset House. 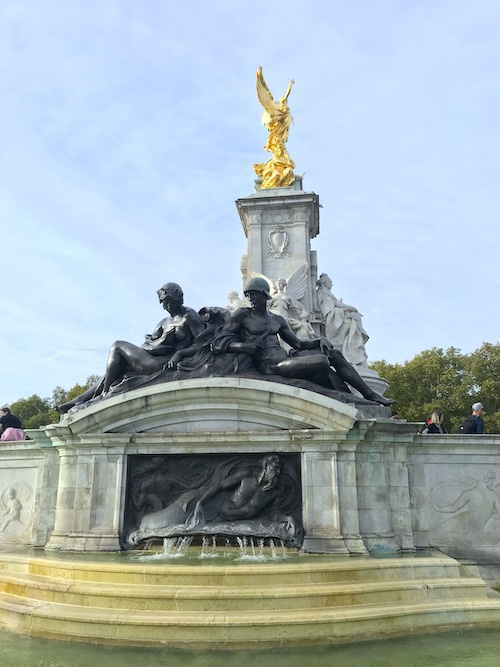 After a while you will reach popular Trafalgar Square with its National Gallery and Nelson Column. Afterwards, walk past the Household Cavalery Museum and the Cenotaph, until you reach Big Ben, London’s number one landmark. Next to it is the beautiful House of Parliament. Walk over Westminster Bridge to shoot some great pictures of these two sights. On the other side of Westminster Bridge, you can also take a look at the London Eye, Europe’s largest ferris wheel. Walk back to the House of Parliament and cross the street to get to the gret Westminster Abbey. From there it is only a few meters to the large St. James’s Park. Once there, you can take a break and watch the numerous squirrels foraging for food. At the end of the park the imposing Buckingham Palace is waiting for you. Head to Piccadilly Street and follow it until you reach lively Piccadilly Circus. This also marks the end of your city tour. Piccadilly Circus is surrounded by numerous restaurants, fast food chains and bars in which you can let the evening come to an end. On the second day, you should limit yourself to two museums of your choice in the morning. 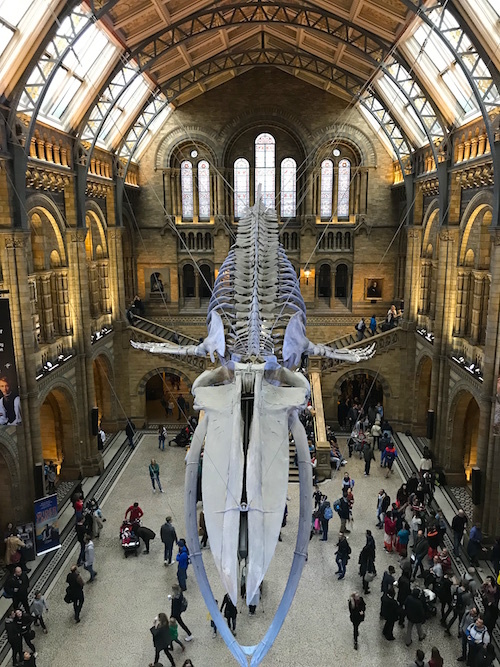 I visited the Natural History Museum and the Albert and Victoria Museum because they are very close to each other and I’m very interested in dinosaurs. Also highly recommended are the National Gallery and the British Museum. In the afternoon you can go to the trendy district of Camdem Town. There you will find the popular Camdem Market, which is a popular shopping destination with clothing, art, decorative items and jewelery. You can also eat at one of the many food stalls. End the evening in vibrant Notting Hill and watch a movie at Electric Cinema, one of the UK’s oldest cinemas.